If you are in the Calgary area, there are 4 days of showing outdoors at the beautiful Spruce Meadows grounds for the Alberta Kennel Club show. In conjunction with this, we are holding our Alberta Doberman Pinscher Club Regional Specialty on Friday July 29, 2016 (ring 14 beginning about 12:30 pm) under Judge Bonnie Linnell-Clark. Then later Friday in the Obedience rings, will be our DPCC Obedience and Rally for the Dobermans, beginning about 5:30 pm. Saturday July 30, 2016 is the DPCC Sweepstakes (ring #14 under Judge: Bonnie Jacobs), which begins at noon. 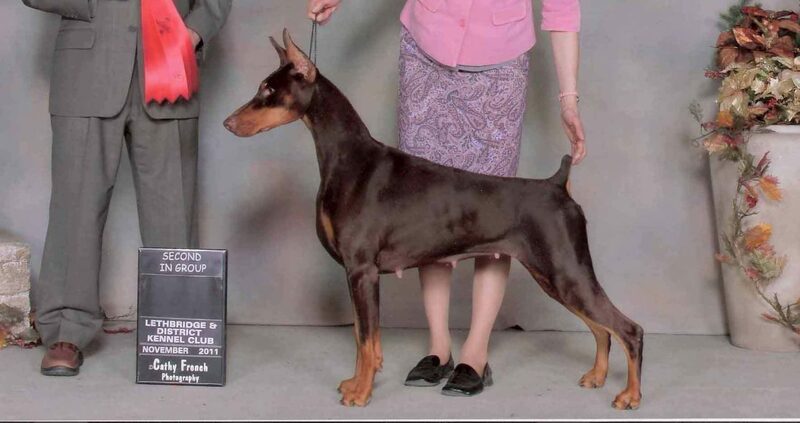 Then at 1:15 pm Saturday, the Doberman Pinscher Club of Canada National Specialty begins (Ring #14 under Judge: Darlene Young). If you are a fan of the breed, please come cheer on our Dobermans!